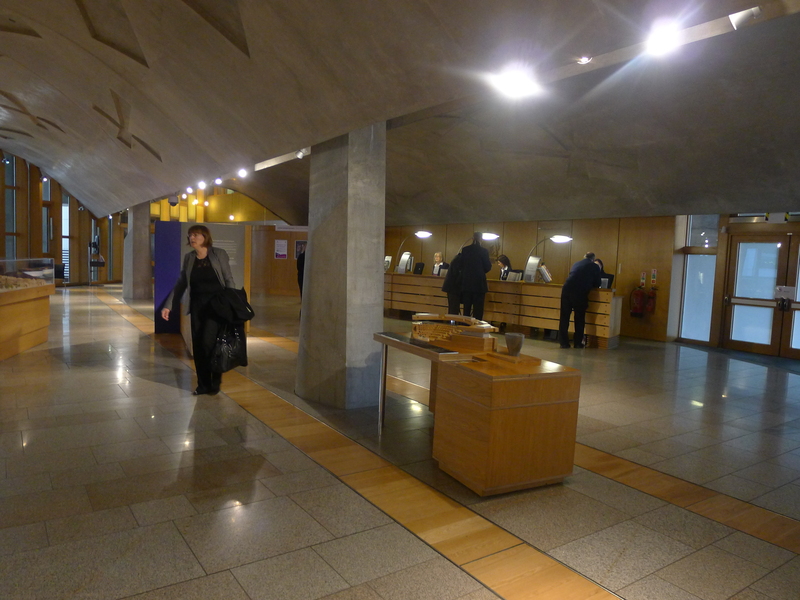 Last night when I was wondering what to do today, my friend Neil kindly offered to show me around the Scottish Parliament, where he works for Alex Neil, the health minister and the MSP (Member of Scottish Parliament) for Airdrie and Shotts. After taking him up on his offer, I’m now convinced Neil also works as a tour guide on the side. His knowledge of the place was impressive. 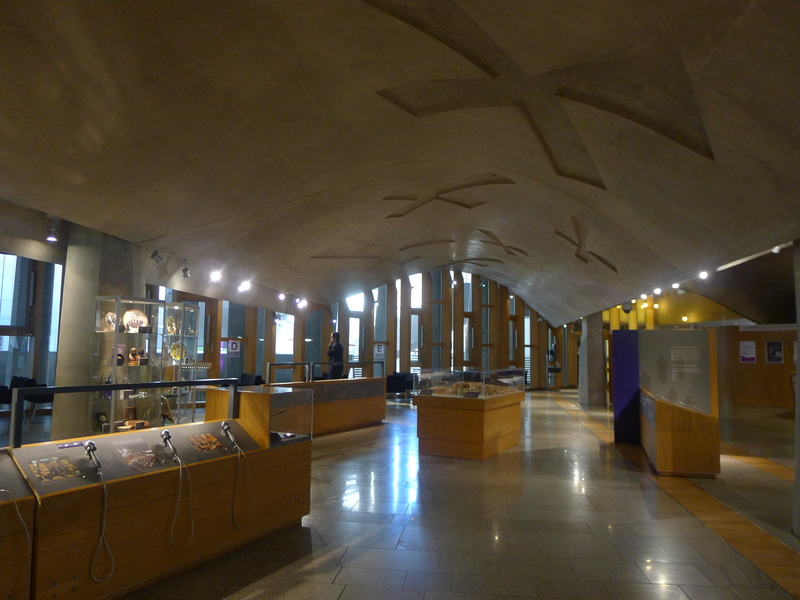 We met at the entrance, where he signed me in at a wooden desk (that he said had cost £80,000) and started leading me through the maze of hallways and rooms, each decked with art appreciating Scottish culture or sharing the modern message of the parliament. 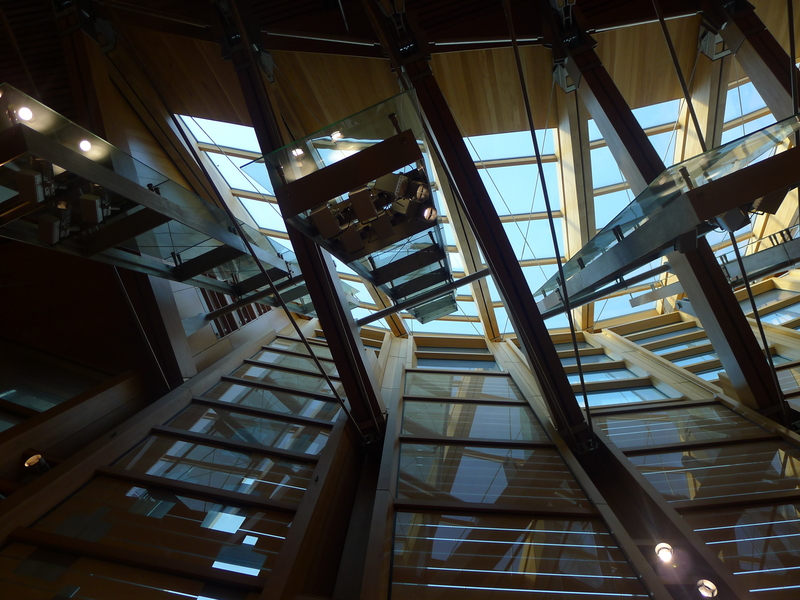 In fact, Neil explained, the whole building, which was opened in 2004, is geared towards the modern. 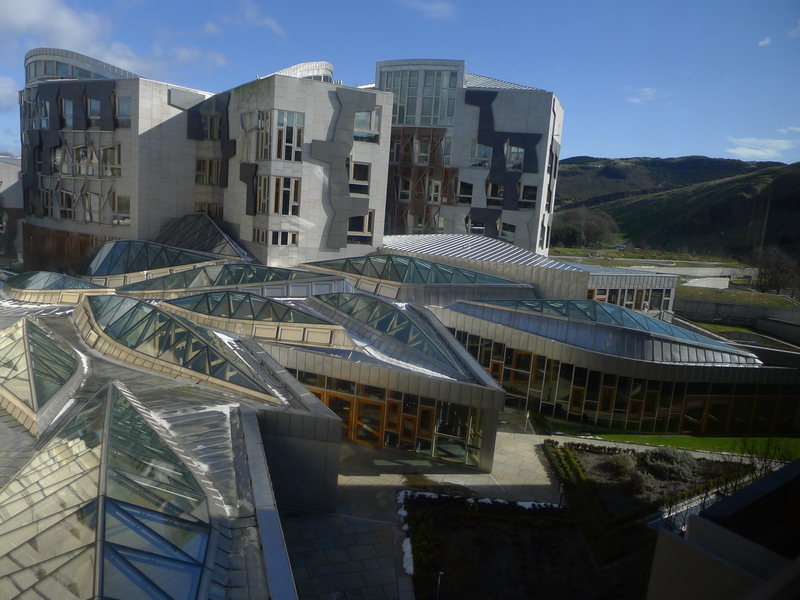 Rather than the thick brick walls of Westminster in London, there are large windows everywhere so that visitors can see their government at work. 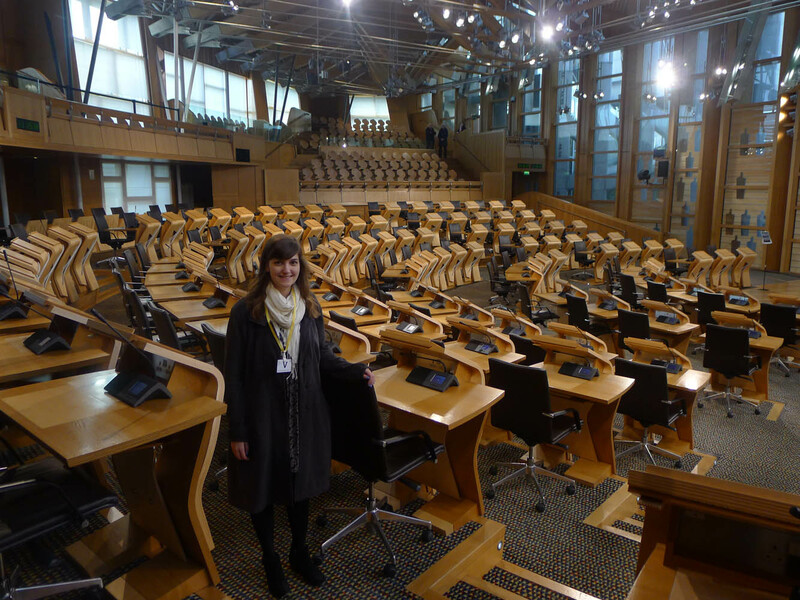 But there were also hark backs to the Parliament’s former home just up the street. One example is the black and white flooring, where the press used to congregate for briefings. 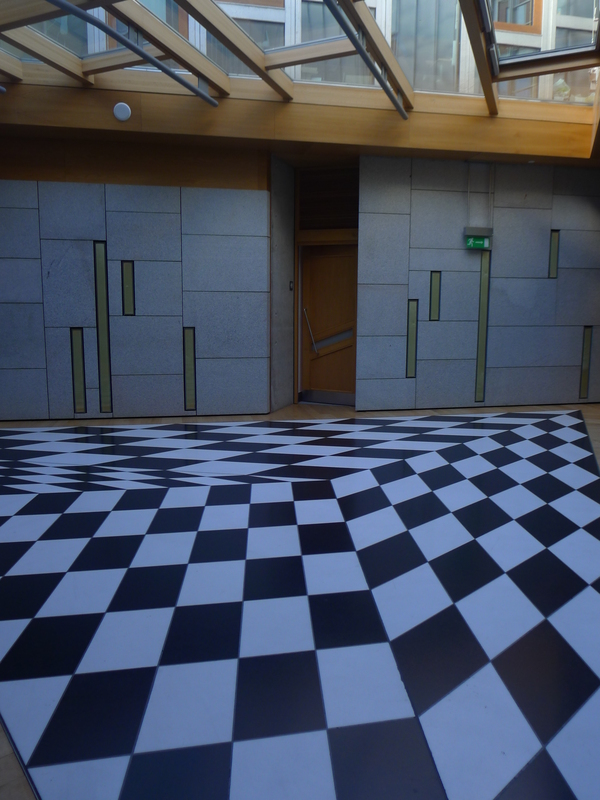 The checkered floor has now taken on a mind-bending design on the floor outside the press tower. This gave way to the modern chambers. 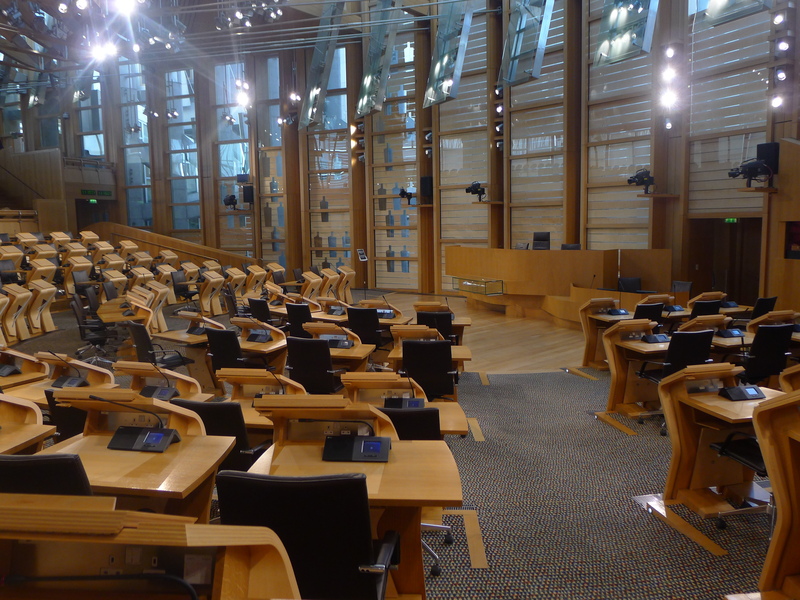 The seats are filled by 129 MSPs, with most from the the Scottish National Party or Labour, and the fewest from the Lib Dems, Tories and the Green Party. 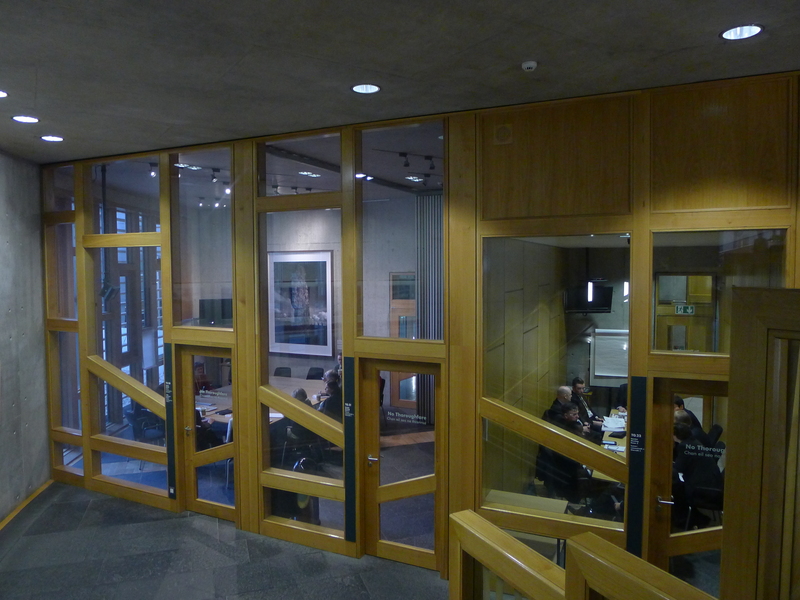 In this room they hold public debates and throw questions at the First Minister every week. 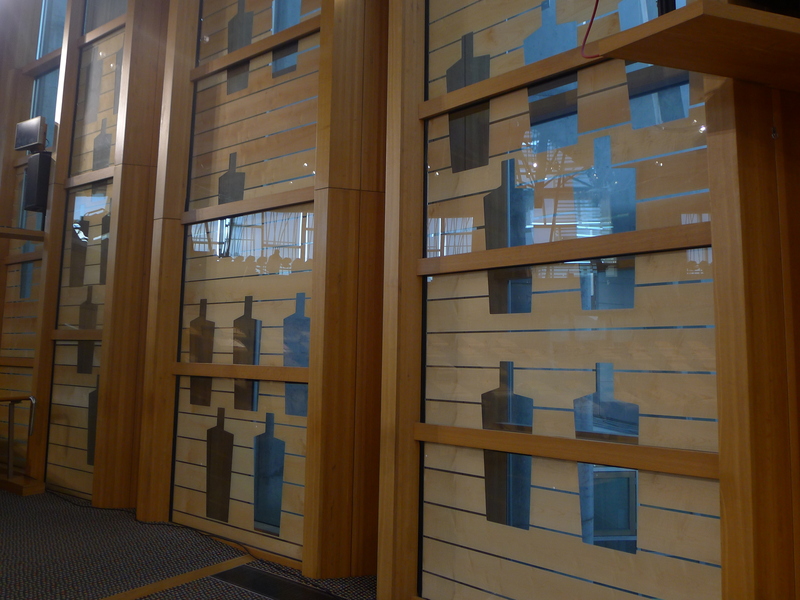 I particularly liked the wine bottle pattern on the wall. 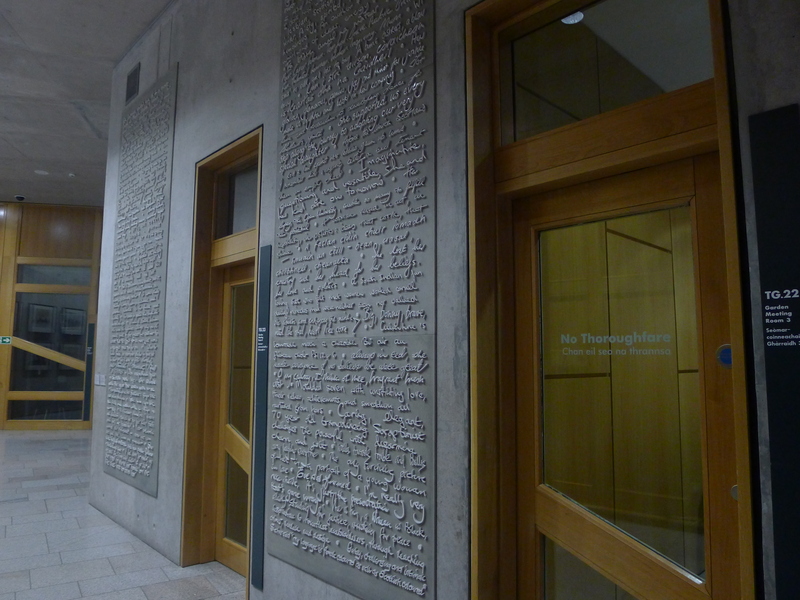 But rather than representing one of the MSPs’ favourite pastimes, they’re abstract depictions of people as if they were looking in to the chambers – a reminder that the Scottish government is the people’s government. Finally, we headed to Neil’s office and I was particularly taken with the thinking booth. 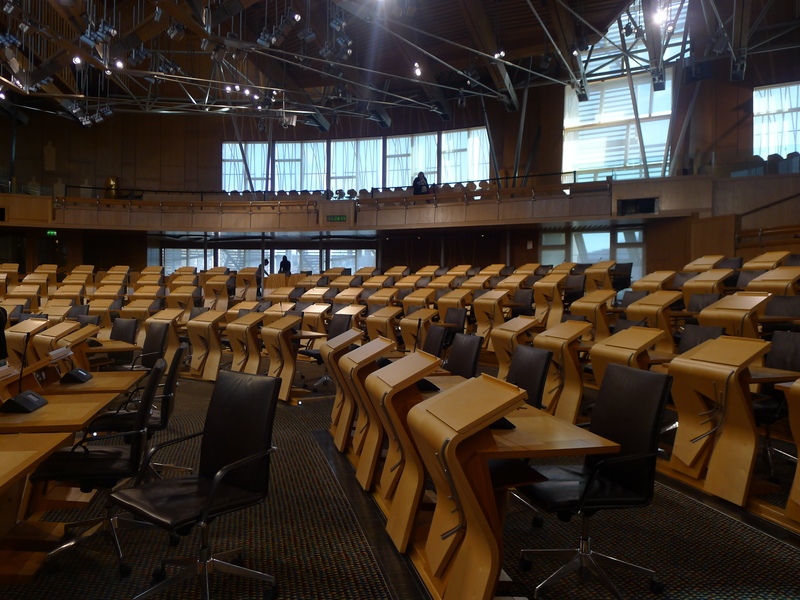 Each MSP has one in their office, and now I want one. 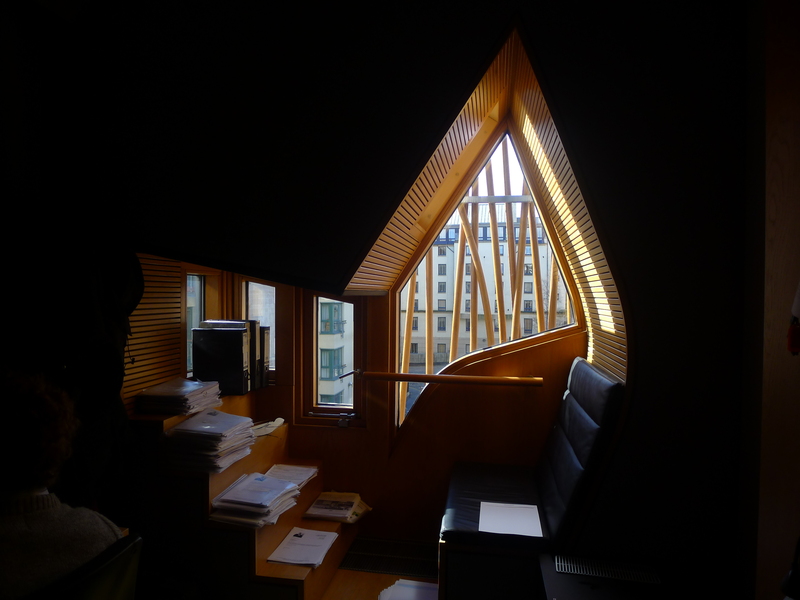 The office also gave way to views over the building. 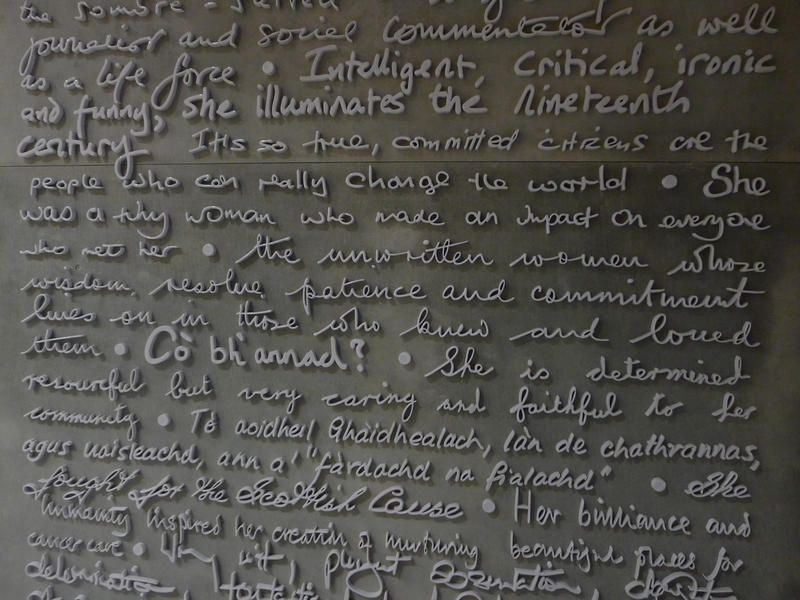 From the outside, the leaf patterns are said to be upturned boats in a nod to Scotland’s nautical history. 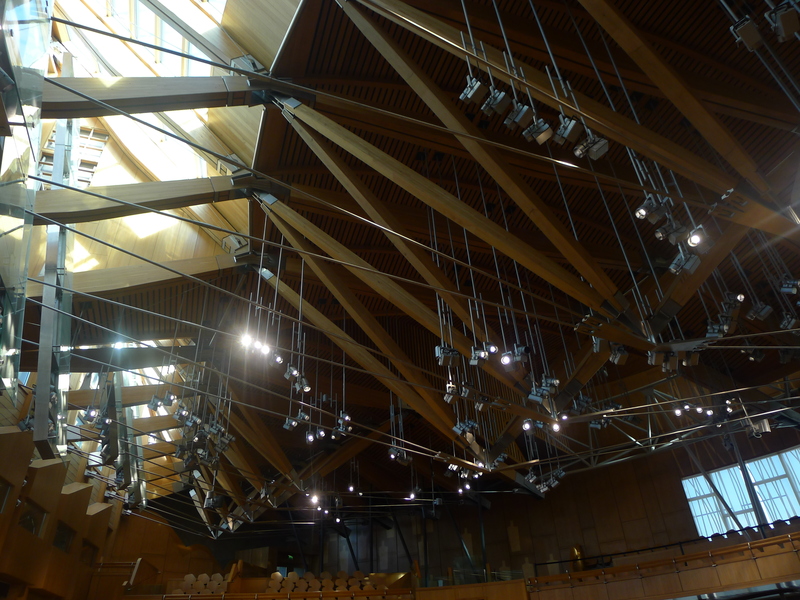 From the inside, lights hanging from the ceiling give the impression of masts on the boats. While the design by Catalan architect Enric Miralles has been divisive and I agree that some parts are pretty gaudy, I generally like what he’s going for. 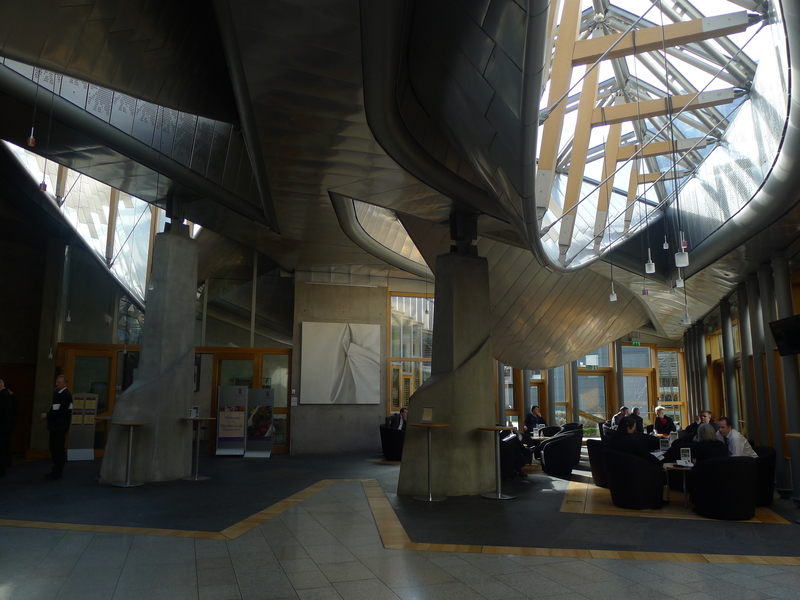 It definitely makes the parliament seem modern and more accessible, rather than an intimidating stone building with men in suits behind heavy wooden doors.